Very happy with Robert and David. Both were very nice and very helpful in saving me money and worries. Felt very comfortable in dealing with them. Would recommend them to anyone. And certainly call them again if needed. I did not use Valu-Rite plumbing but was very happy with the response from them. And there phone conversation was great. Needed to replace a 14-yr old leaking water heater. Received a phone call from Valu-Rite Plumbing just 5 minutes after submitting estimate request. David quoted me a ''sale price'' of $100 LESS than the price at his website for a full water heater replacement. 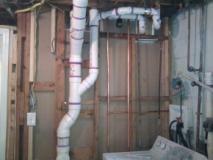 Also have had problems with high water pressure and needed plumbing work done in downstairs bathroom. David was able to do everything in one visit for the total price quoted...No surprises, no surcharges after work began. 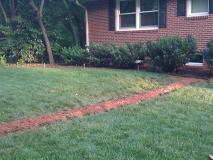 VERY HAPPY with Valu-Rite Plumbing! David knows his stuff and is a dependable, honest plumber I highly recommend and will call again for our future plumbing needs! David was very personable and competent. He solved all of my plumbing issues. 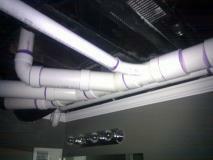 I would definitely use Valu-Rite Plumbing again as well as recommend him to friends.